Sometimes you have to understand the experience before you join, I get it. Please enjoy this very special meditation for you to sample today! Here’s a couple quick facts about meditation. We think our minds are supposed to be empty or without thoughts. That’s not true. That we're supposed to have some epiphany or awareness for this to work. That’s not true either. The purpose of meditation is to watch your thoughts and how we react to life. To help us gain greater awareness of our inner world so we can have greater clarity in our outer world. Each one of my meditations is different, some will have mantras, some will be guided and some will focus on an event or situation and let it be. I am going to lead you into every meditation with a short introduction and then leave you in silence for a period of time.  I will guide you out of the meditation with a few words to help you see the benefits throughout your day. Remember, your experience of the meditation will be your own and no matter what that is - it will always be perfect. In order to download the meditation, simply click on the button in the bottom right corner of the meditation recording. Join the Monthly Membership Program! If you love what you hear, I want to invite you to join my living room meditation program today. For $35/month, you'll receive access to daily live meditations (recorded for convenient playback if you can't make it). Start your morning off with a meditation similar to the one you sampled - no two meditations are the same. For more information and to register, click below! I will never spam you or share your private information. ARE YOU LOOKING FOR PEACE,JOY AND RELIEF?